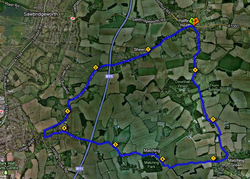 Cycling Club Hackney’s annual road race was run today on the Matching circuit in Essex. 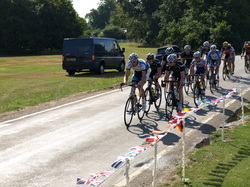 The National B race attracted a lot of interest from Elite 1, 2 and 3 riders eager to soak up some late summer points. The race set off at a brisk pace with lap 1 of the seven laps being completed in 20 minutes with the following laps at around 22-23 minutes this meant for an average speed of around 41km/hr for the 110km race. A break formed in the first lap comprising around 13 riders and working hard they took this up around a minute and half when the first prime was won at the end of lap 2 by Oliver Rossi, one of a contingent of Twenty3c riders in the break. The break also had a strong trio of riders from Team Corley in it, and they continued to hold the main field off. At one point a group broke out from the main field and seemed to be gaining on the lead riders, but by the time of the 2nd prime, won by Simas Ragusaks, it looked like the leaders would be contesting the top prizes amongst themselves. It was another team that turned up in numbers though that took top spot as Ashley Cox of CCLuton attacked the leading bunch on the twisty Matching Tye sector of the course and led them up the hills to the finish area of Hatfield Heath where he won by 15 – 20 seconds from the sprint led by Michel Smith of Team Corley followed by Simon Alexander of Twenty3C. The leading group at hatfield heath. A slideshow full of action shots taken by Calvin can be seen here. 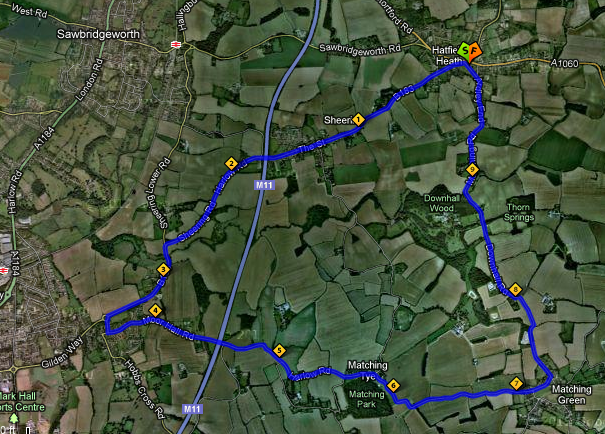 CCH Road Race - route. Click on image to enlarge or open link in new window here.